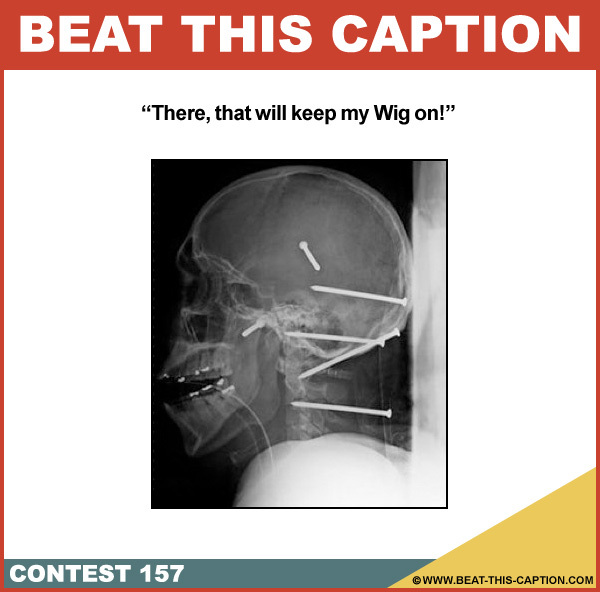 Beat This Caption Contest 157 – Caption Contest Funny Clever Witty Enter Today! There, that will keep my Wig on! August 4th – August 10th 2013.